If you see your company registered into our web and you cannot get access to it, and you want to update the information and manage your company’s profile you can do it easily! Note that at the right side of your listing description you’ll find a link that says “Edit”. 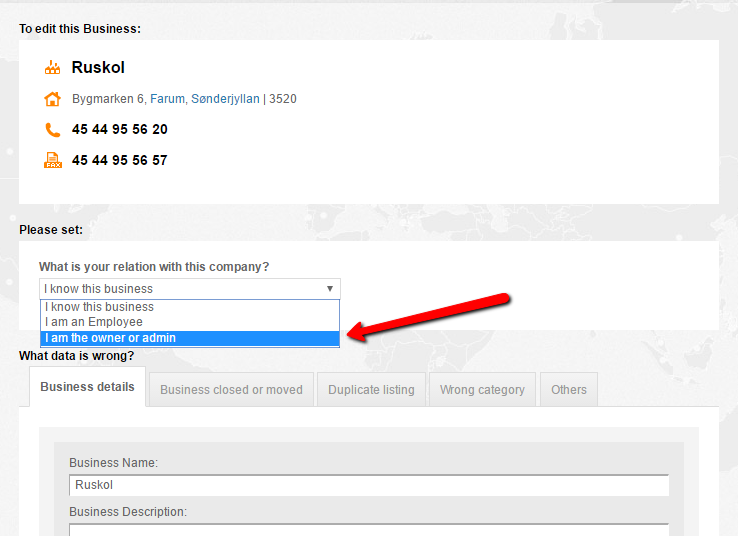 If you click there you can select if you are an administrator of the listing, an owner of the Company, an employee, or if you know the company. 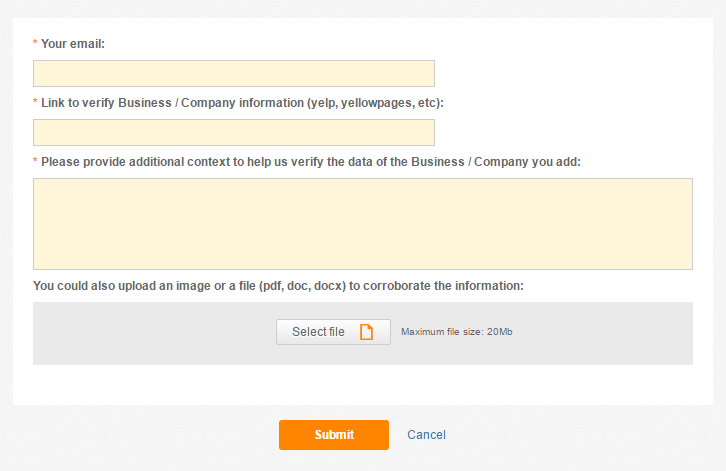 Once you have selected your relation to the Company, you can add as much information as you wish adding full contact details, logo, photos of your products, social networks and more! Please make sure to provide an email, and some information, document, or page in which we can verify the information that you provided. You will be notified when the information has been checked by one of our admins. Once you have finished, click on the "Submit" button. Sometimes it doesn’t say “Edit”, it says “Contact company”. That means that the listing has an owner already assigned, and in that case, you should contact directly with the owner of the listing. If you can’t solve this issue, and you believe that the listing of your company has been registered inadequately, or was stolen, please contact us, providing the link of the listing and some document that proves you are the owner (or representative) of the company, and we will solve the problem for you.